FinalHavenLarp.com • View topic - any interest in LARP arrows? Hello, I play Bailey the Guthrie archer. Ive been making LARP arrows for awhile now, sold quite a few locally and wanted to see if there would be an interest in MI. selling for $10 a piece, though arrangements can be made. The head, shaft and fletching can be done in several colors and can be made to whatever length you may need. The shaft iteslf terminates ithin the foam head with a copper washer the size of a penny and then has a 2" flexible disk that can flex with the foam if stepped on but distributes force across the entire width of the head on impact. Would love to hear any questions you may have about them, as eventually I would like to sell to a larger market and would like to get feedback. Last edited by notsabbat on Tue Aug 21, 2012 7:44 pm, edited 1 time in total. Would love to take a real close look at yours next FH event. "The stupid shall be punished!" Ill have them with me at the finalhaven. I dont actually consider arrow tag arrows direct competition. 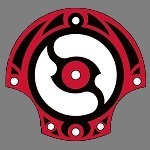 While I dont see thier design as causing a problem if they are brought to a LARP I dont feel like the design they used is as good as it could be for LARPing use (it is designed with participents wearing paintball masks in mind). The only foam it has on it is the large amount of open cell on the front and by the looks of it is basically velcroed on and I would be afraid of the possibility of it coming off during combat (though tape may be able to solve this). 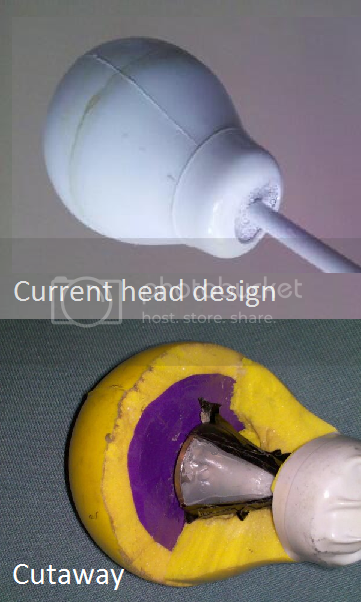 The back end of the head appears to also be just straight plastic with a large flat end the diameter of the foam tip. While I think the likelyhood of someone getting hit by that part is pretty slim, some courtesy padding would be nice. I would also be afraid of the flat plastic part breaking if they are stepped on. The fletching is also made of plastic vanes, which while durable, can cause the back of the arrow to bounce off of the arrow rest and messing up the accuracy at short range. And at $12 an arrow, they arent axactly the cheap option. The IDV arrows are really more what I am looking towards what I want to achieve and hopefully surpass. very durable, shoots well and while they have had trouble in the pat with their heads breaking when stepped on it seems like they have solved that problem. course you will pay around $15+shipping for them. I have also edited my first post with a cutaway of one of my arrows that I did wich shows the shaft, end cap and disk that makes up the arrow head. DO the copper washers have a hole in them like most washers? I use pennies on my arrows, since these days thats about what they are good for. I have had a live conversation with the Archery Tag guys, the plastic flat tip has very short barbed spikes, like 1/8' of an inch long, that puncture the foam to secure it but let the foam be replaced if damaged or worn out. I was given a list of actual engineering tests they did on compression and impact energy and other things I also had no clue about but left me the impression they tested the crap out of these. They didnt design the arrows to be used with the masks, and in fact have done all sorts of non mask testing. They just insist on them for insurance and redundant safety protocal since they runs the business like a paint ball field. I do have concerns about the plastic disc on the ground, have orderes a set to see them first hand. Not sure what IDV is but they remind me of the arrowcaster arrows, which I have seen and used. They were great but could have used a shaft a little more like what you and AT uses. I also like the flat heads better. While they have a slight negative effect on flight, the round fit in the eye socket better on those dumb bad luck shots. They can actually hit the eye surface, had a LARPer form a NERO chapter get tagged with a rounded one and suffer a partial retina detachment. Can you do hunter orange tips/shaft/flights? IDV arrows are pretty much the standard in mass produced made for LARP arrows, they are also made in Europe and are good but expensive. Flat ones are softer when they hit no doubt about that. I plan to do something comparable to that in the future, but I havent found a method Im satisfied with yet. The shaft and fletching can be done in nearly any color you would like, while in the future I will likely be able to make the head any color, right now I can only do yellow and white for the heads. The heads have an outer diameter of 2.25" which generally considered a safe diameter forr round headed arrows (IDV are smaller). Re: any interest in LARP arrows? I'm actually with the Winterhaven Chapter, but was directed to you, here, for my arrow needs. What is the best way to contact you?